St Mary's: St. Mary's threw us a zone, and it took us awhile to break through it, we did not have enough time to build up points so the game ended as a draw. Highlights of the game included: Humaira's crosspitch hammers to Emily in the end zone. Reading 1: Reading had solid overhead throws and a player with 'sticky fingers' making it difficult to stop points. A couple of fast points towards the end made it a loss to Cambridge with the score being 4-6. UCL 1: UCL had a couple of great handlers and good flow between players, making it a tough game for Cambridge. It was a hard fought match to end the day. UCL 2: 6-1 to Cambridge, with many run through Ds by Beth. Cambridge showed we could do the basics well by shutting their up field play and leaving them with only the handler movement option. Chichester: We knew from previous encounters that they would throw a zone, they did not disappoint. Cambridge broke through the centre of their zone, with chilly play, swinging to break through their wall. #playlikeJapan, winning the game with a score of 5-2. 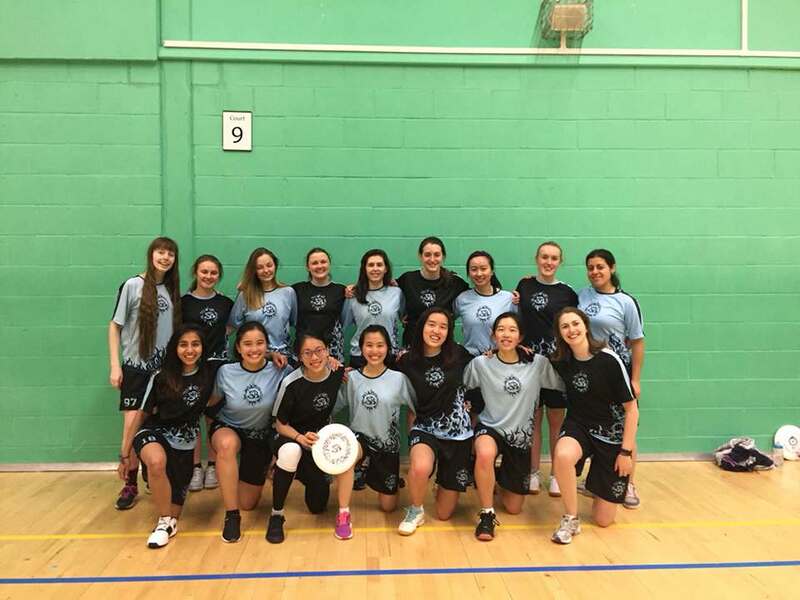 Oxford Brookes: We have been warned by our Reading friends that they have a couple of really strong players so we started out with a strong player to player defense. Both teams made come back points during the game but unfortunately the buzzer sounded when Brooke's were up by 2 points, leaving Cambridge 1 seeded 10th this year.